The number of hotel rooms in Macau’s Cotai district is set to increase by almost 8,000 over the next few years, if all projects planned for the area are approved by the relevant local authorities. 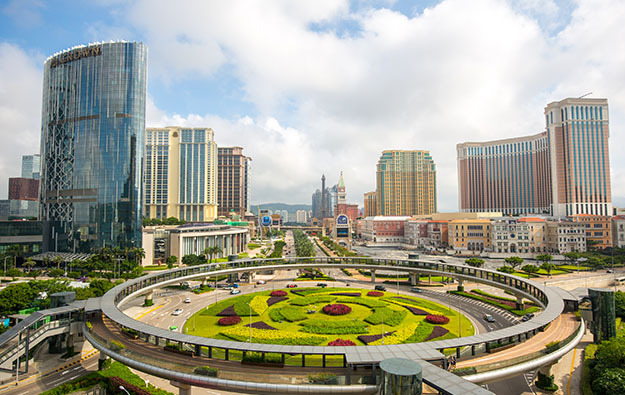 As of the second quarter this year, there were three hotel projects under construction in Cotai and a further four projects in the planning stage, the latest data from Macau’s Land, Public Works and Transport Bureau shows. That would together provide the area with 7,955 new hotel rooms, of which 5,479 are already under construction. The data did not give estimated completion dates for the new hotel projects. Macau had more than 39,400 hotel rooms – including guesthouses – at the end of June this year, according to data from the Statistics and Census Service. The service does not provide a breakdown of the data, namely for the number of hotel rooms located on Cotai. According to data compiled by GGRAsia, there are currently more than 22,000 hotel rooms in Cotai. Cotai is a new casino district located in a landfill zone between the formerly separate islands of Taipa and of Coloane. The first major casino resort to open there was the Venetian Macao, in August 2007. A total of 29 hotel projects, which could potentially bring a supply of 5,653 rooms, was in the planning stage in Macau as a whole – including the four projects in Cotai – said the Land, Public Works and Transport Bureau. An additional 19 projects were already under construction as of the second quarter this year, with a respective 6,793 hotel rooms under development. Once completed, the hotel towers in the Cotai project, bearing respectively the marks “Grand Lisboa Palace”, “Palazzo Versace” and “Karl Lagerfeld” will bring in total approximately 2,000 rooms, SJM Holdings noted in its annual report 2017. Rival Macau-based casino operator Galaxy Entertainment Group Ltd has pushed back the launch date for the first portion of Phase 3 for its flagship Cotai casino resort, Galaxy Macau. That will now open in 2020 rather than 2019 as previously suggested. Phase 4 is to be in operation in 2021. Phase 3 of the Cotai project is designed to provide 1,500 hotel rooms; while Phase 4 is designed to supply approximately 3,000 rooms. Melco Resorts and Entertainment Ltd is also set to develop a second phase for its Studio City casino resort property at Cotai. Melco Resorts management said in July it was currently in the process of developing the detailed design for project, targeting to begin work in the second half this year. Wynn Macau Ltd is also working on the development proposal for the expansion of its Cotai’s Wynn Palace casino resort, which it plans to have ready by year-end.